A Seattle businessman has purchased an Andy Warhol-styled work of art and paid for it in bitcoin. Warhol’s piece, titled 200 One Dollar Bills sold for $43.8 million back in 2009 at an auction. 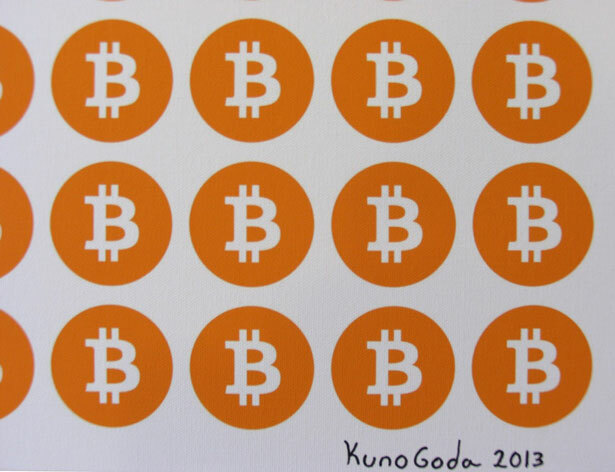 The Warhol-inspired work, titled 200 Bitcoins, was created by German artist Kuno Goda. Both Goda and the buyer have agreed to not reveal the exact sale price. However, the estimated sell price was said to cost the buyer less than what the worth for 200 bitcoins was at the time of the sale. Currently, 200 bitcoins are worth about $90,000. The German artist attempted to sell his piece using BitPremier, the self proclaimed “bitcoin luxury marketplace.” BitPremier once sold a 1.77 carat diamond for 57.6 BTC. Goda’s 200 Bitcoins was eventually sold privately. He says the deal “was a flawless experience,” after the buyer used bitcoins to complete the deal. Goda reflects most of his art off of technology. He adds that his follow up to 200 Bitcoins will also deal with the topic of money. It will identify the critical state of the US dollar. Goda’s piece is perhaps one of the first work of art to be sold in digital currency. This results in bitcoin, once again, breaking new ground. The art world not only referenced bitcoin aesthetically, but dealt with the digital currency first-hand through a transaction. In addition, the bitcoin movement has only scratched the surface in the realm of art, as well as the sports world. Just recently, the San Jose Earthquakes soccer team began welcoming bitcoin payments for tickets and merchandise. To become a well rounded and publicly accepted currency, bitcoin is going to have to continue touching new base with different industries. For now, it can add the art and sports world to its list. For more bitcoin news, subscribe to CoinReport.